Each day we move a step closer toward achieving our goals with Suku Mentawai and the Cultural and Environmental Education Program (CEEP). These past few months have been particularly productive. Travelling to Siberut Island with members of the Suku Mentawai team, our mission was to gather research about the history of Mentawai people and how their Arat Sabulungan culture evolved. We were fortunate to discuss this with groups of elder, very knowledgeable shaman (Sikerei). The conversations were lengthy and often continued late into the evenings. We documented these on film. This particular research (among other things) is to be used as part of a Mentawai cultural education booklet we’ve been developing. Our vision is to create a visual-based storybook presenting cultural content in a way that is both engaging and relevant to the current and coming generations. 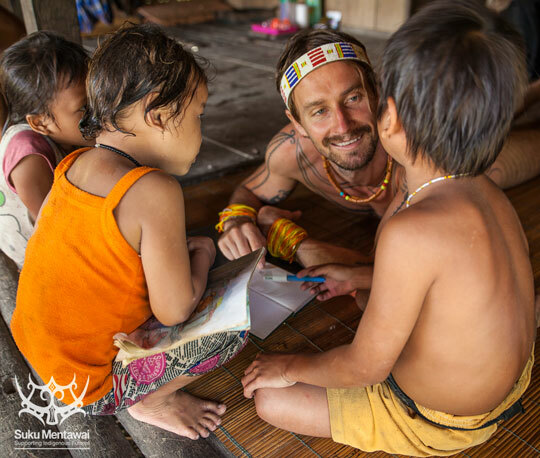 The booklet is purposed as a guide to teach (Mentawai children) and learn from. Our next stop was Padang city, on mainland Sumatera. 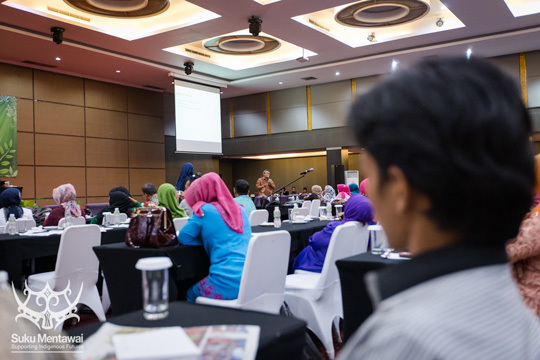 We’d been invited to participate at a revitalisation conference organised by Indonesia’s Ministry of Education. 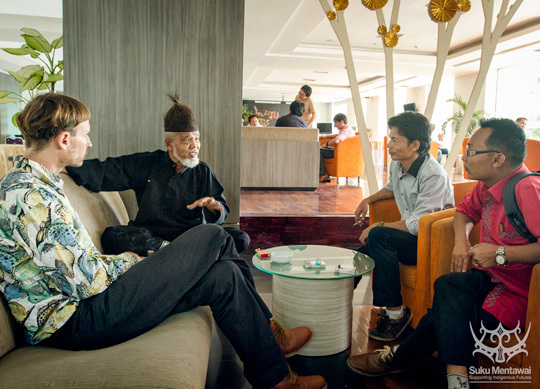 The focus was on West Sumatran culture (Mentawai & Minangkabau), allowing us to discuss our work with education departments, research experts, writers, professors, and other like-minded NGOs working within the region. Whilst there is a long way to go, it is extremely heartening to see that indigenous culture is slowly being recognised as an important element of education. The doors are beginning to open and the voice of the community being heard. 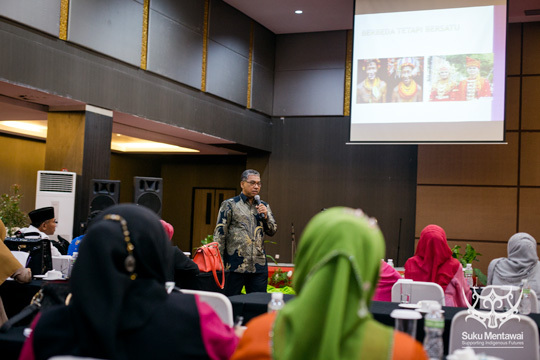 It’s a very interesting and exciting time to be campaigning for cultural education here in West Sumatra, Indonesia. 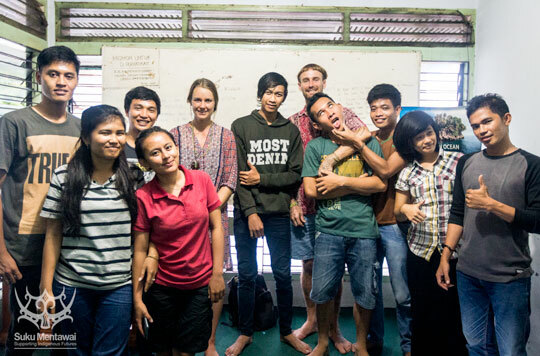 During our visit to Padang we also spent time with Mentawai university students at the Mentawai Student Forum (Forum Mahasiswa Mentawai – Formma). It was interesting to discuss and observe their views on the issues surrounding Mentawai’s loss of culture and local knowledge. We also met with head of the West Sumatran language department (Balai Bahasa Provinsi Sumatera Barat), Pak Agus Danardana, to discuss the development of a Mentawai dictionary. 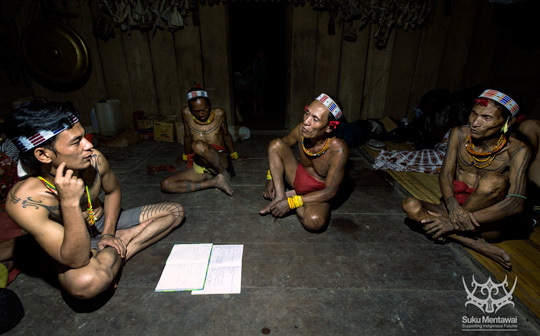 Mentawai is currently not a written language and, with limited access for people to learn how to speak it (not taught at any level of schooling), their dialect is slowly being replaced by the mainstream. 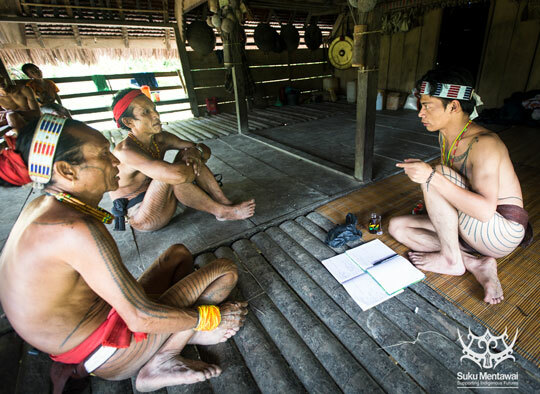 Gravely concerned about the impact loss of Mentawai language will have on the future of the local community, their culture and identity, we decided to make this a more urgent focus of the Suku Mentawai foundation. Pak Agus welcomed our proposal with open arms and we are now discussing a suitable date to conduct a joint research expedition. Great news. Finally, you may be pleased to hear that the production of our social-impact documentary film, As Worlds Divide, is almost complete. Keep an eye on the film’s website and facebook page for further updates, including premiere and release dates. We’re extremely excited to share this important film with you all. Thanks for your support. Copyright © 2017 Suku Mentawai.